JORDAN THOMPSON once worried he had burned his bridges at Hull FC, but is now relishing his second chance to flourish with the club. After making more than 100 appearances for the Black and Whites, the utility player surprisingly asked to leave the Challenge Cup holders at the end of 2017 to gain more game time with another club. Thompson actually dropped down into the Championship with Leigh Centurions on a two-year deal but – after they hit financial problems in July – he finished last season off back in Super League with ailing champions Leeds Rhinos. 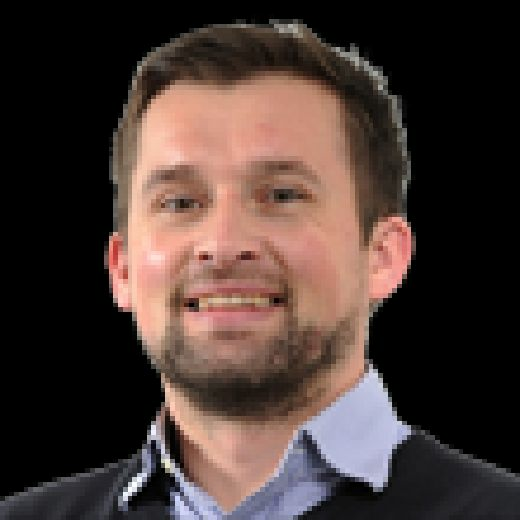 Hull coach Lee Radford then re-signed him in October ready for the new campaign, a move the former Castleford Tigers player never envisaged happening. 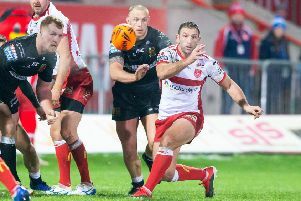 “I definitely didn’t see it coming – I’d no training kit left in my drawers, put it that way,” admitted Thompson, who hopes to prove his worth in time for their Super League opener at Hull KR on February 1. “There was no fall-outs when I left although I was worried about that, to be fair. Jordan Thompson: Has played for two clubs in between his spells with the Black and Whites. “When I made that decision I told my agent I was a bit panicky. “But he settled me down, Radders and (chairman) Adam (Pearson) rung me and they were awesome with it. “They told me to back myself. I was honest with them and told them I felt I was slipping off a bit, being pushed to the back of the squad. “Radders just said, ‘crack on and have a good year’. I was really happy. I respected that massively and there wasn’t much there for me at the time. But then Radders phoned up and asked what it’d be like to come back here so I said ‘Let’s get it back on! Wakefield-born Thompson, 27, has certainly been through a strange 12-month period. “At the end of last year it all went a bit pear-shaped at Leigh and I got taken out of the fire by Leeds,” he recalled. “Kevin Sinfield (Leeds’s director of rugby) was honest with me at the end of the year and backed me to go out and get another club. “I respected that massively and there wasn’t much there for me at the time. “But then Radders phoned up and asked what it’d be like to come back here so I said, ‘Let’s get it back on’. “I know there’s still loads of competition at Hull, but it brings the best out of you.